Actress’s Poetry Tweets! STROUMBOULOPOULOS Sneak-Peek EXCLUSIVE! 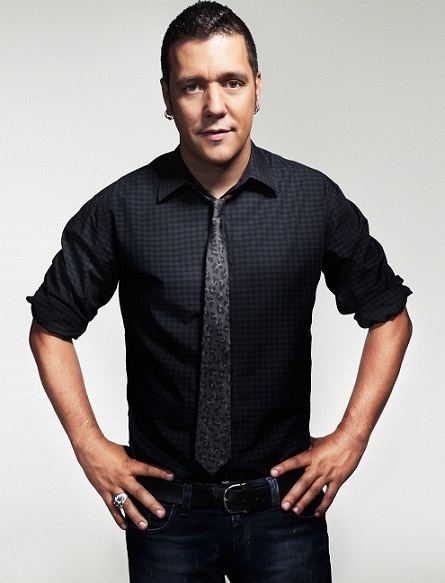 This summer CNN will debut George Stroumboulopoulos new nighttime television show. He is a well-known Canadian host, which will expand his name into America. Hollywood Junket sat in on a few interview to give our readers this sneak-preview. George is a likable host; he comes onto the stage with a big smile upon his face expressing enthusiasm about his upcoming guest. His first show will feature actor, Ellen Page who was perpetuated into stardom after her role in the critically acclaimed film Juno. George also discussed social media with Ellen. She expressed her love for the popular social media site, Twitter. Sometimes she wakes up in the morning, and sends out poetic tweets to her followers. George also asked her about dreams, because she was also in the film “Inception”. She told him she is fascinated by dreams, because “we know little about them.” She also told him she used to experience horrible sleeping problems, ranging from sleep walking to talking in her sleep. Lisa Kudrow will also be a guest on one of the episodes. Kudrow gained national fame after playing Phoebe Buffay on the hit television series, “Friends”. Lisa Kudrow began her career performing Improv with “The Groundlings”, a well- known improve training center in Los Angeles. Lisa came on to discuss her newest project, “Web Therapy”. The series is currently going into season five. Kudrow plays a therapist that counsels people via the web. Kudrow obtained her Bachelor’s degree in Psychology; therefore, she is quite familiar with different therapy methods. She told George Stroumboulopoulos that people do not want to spend time on things that are worth spending time on. Therapy is something that is quite common now, where as in previous decades people were often discreet about it. There will be ten episodes airing of “Stroumboulopoulos”. It will begin airing this summer; George has a likable personality, and his interviewing style is perfect for the CNN demographic. He focuses on serious topics with his celebrity guests versus trying to dig into their personal lives. The set was also eye appealing. The flooring is black, and there are two red chairs in the beginning of the stage. He sits at the edge of the chair when he interviews his guests, and appears quite interested in the answers to his questions. “Stroumboulopoulos” premieres on CNN Sunday, June 14 at 10 pm ET, then 11 pm ET on Fridays. There will be ten episodes and other celebrity guests include: Snoop Dogg, Wiz Khalifa, Martin Short, Howie Mandel, Bill Maher, Betty White.